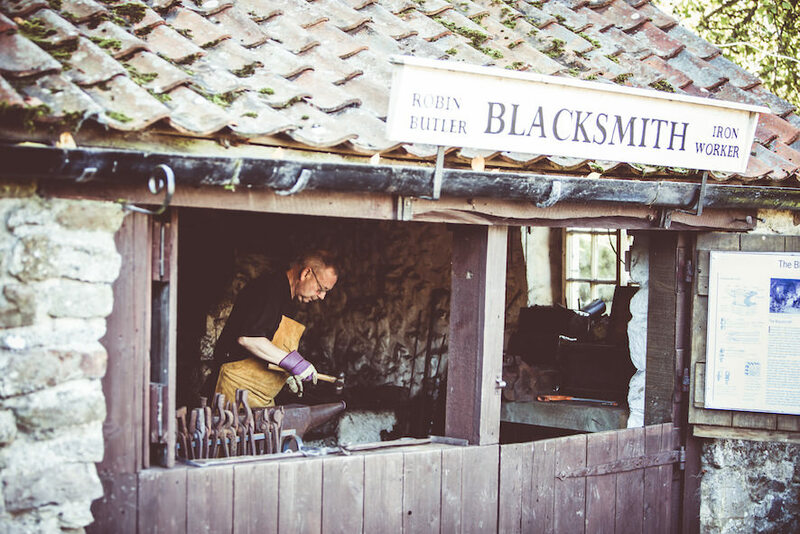 A warm welcome always awaits you at Ryedale Folk Museum. Our staff and volunteers are happy to help you with your questions. 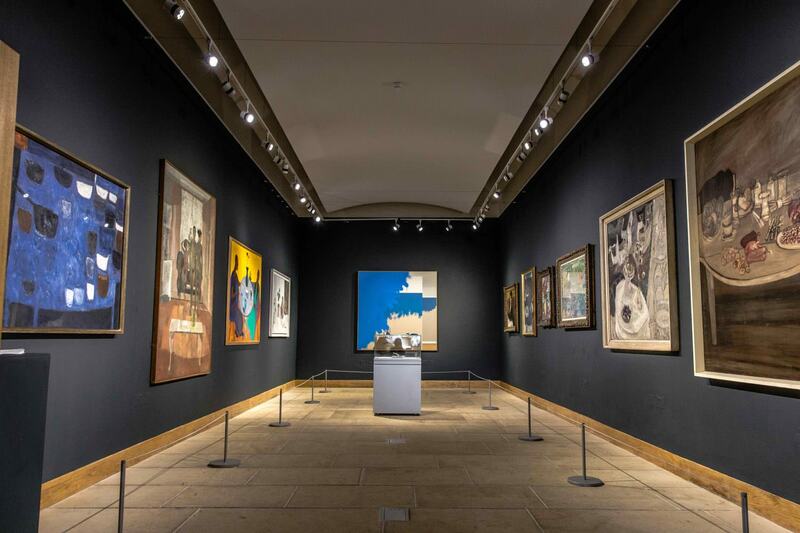 Our FREE to visit art gallery hosts a programme of vibrant exhibitions by local and national artists each year. The Museum’s shop sells lovely gifts. We stock lots of items made by local people including Gillies Jones glass, beers from Helmsley Brewery and locally made heather honey. The Village Shop and Post Office is one of the most popular with our visitors. It’s nostalgic and authentic interior came from the village shop in Rosedale East. The shop is set up to show a typical village shop, in 1953, the year of Queen Elizabeth II’s coronation. We frequently use the Village Shop to talk to visiting children about wartime rationing, weights and measures and ‘old money’. Do you recognise any of the old medicines in the Chemist’s Shop? Perhaps you’ve heard your grandparents talking about some of them. In the past, many chemists packed their own remedies as well as selling the many branded medicines. The Farndale Hearse was bought by the villagers of Farndale in 1839. The ornate carvings, etched glass and silver plated flower holders reflect Victorian tastes and show their desire for a proper funeral. This building is called Stang End. It is a 17th century cruck-framed house, restored to reflect the way of life of a farming family. The building was rescued from its original location in the village of Danby, where it stood for 500 years before being moved to the Museum. 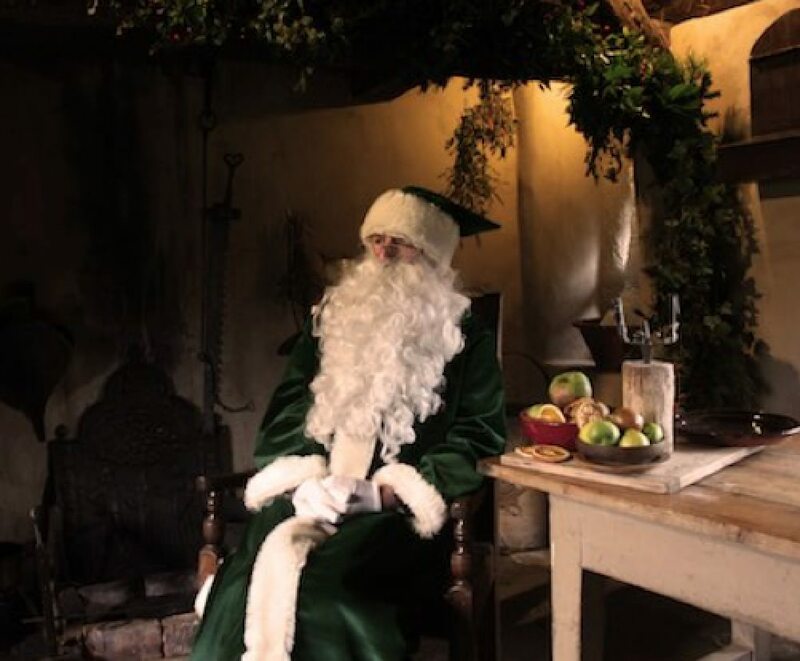 This atmospheric building is a fantastic place to meet our traditional green Father Christmas, as part of our Victorian Christmas weekend event which happens each December. The Manor House, was originally built in the village of Harome in the late 16th century. It was rebuilt at the Museum in the early 1970s. The cruck-frame construction is one of the largest known about in the area. 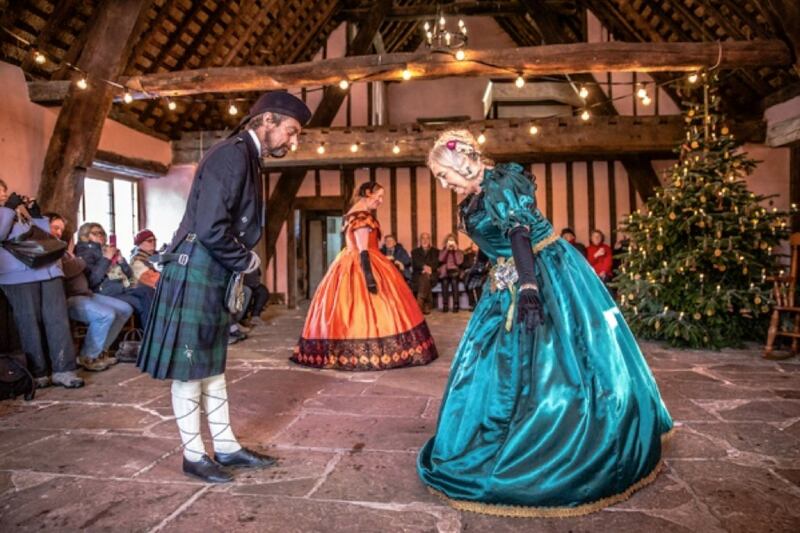 Other than being a splendid building to admire, we use it for events and school activities throughout the year. This cottage and its interior are based on a typical late 19th century Victorian dwelling. The building was rescued from the village of Harome, a few miles away and reconstructed at the Museum. 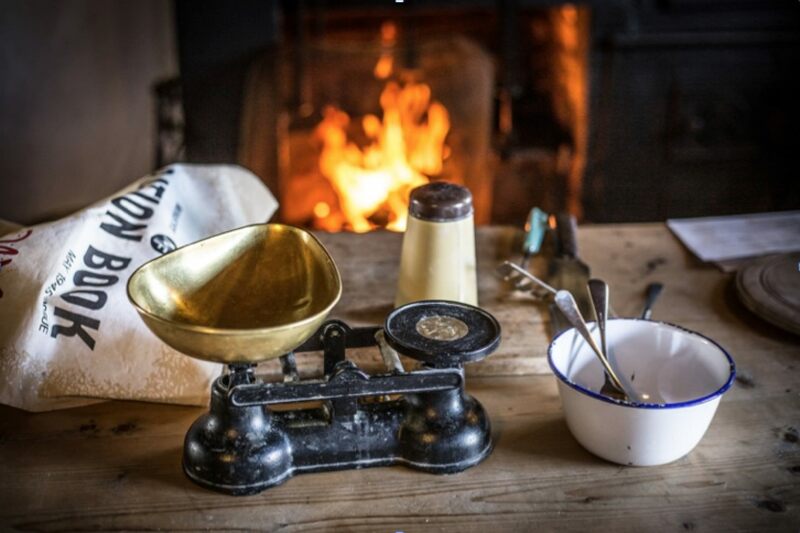 Experience the sights and scrumptious smells of a Victorian Christmas when our range oven is used for hot mince pies. We also use is throughout the year with school groups and for other events. 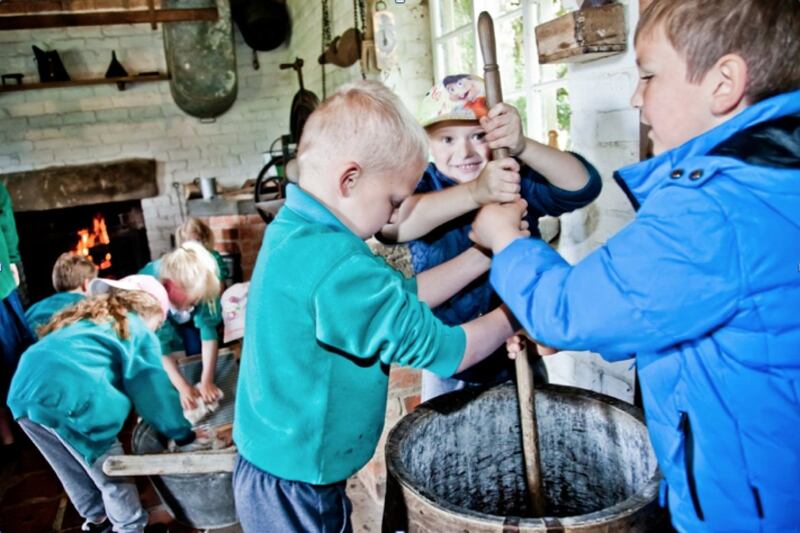 The washhouse is always a favourite place for our visiting school children as they get hands-on with washboards and mangles to learn about doing the laundry in the past. This building was owned by and Edwardian photographer called William Hayes. This was his photographic studio which includes a darkroom and a finishing room. It is the oldest known surviving daylight studio in the country. 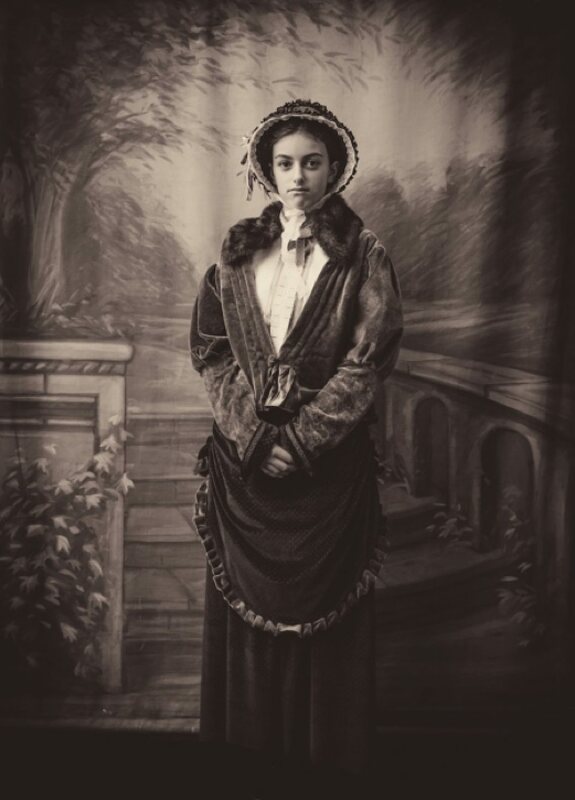 At some of our events, you can dress-up in period costume and have your photo taken in the studio. 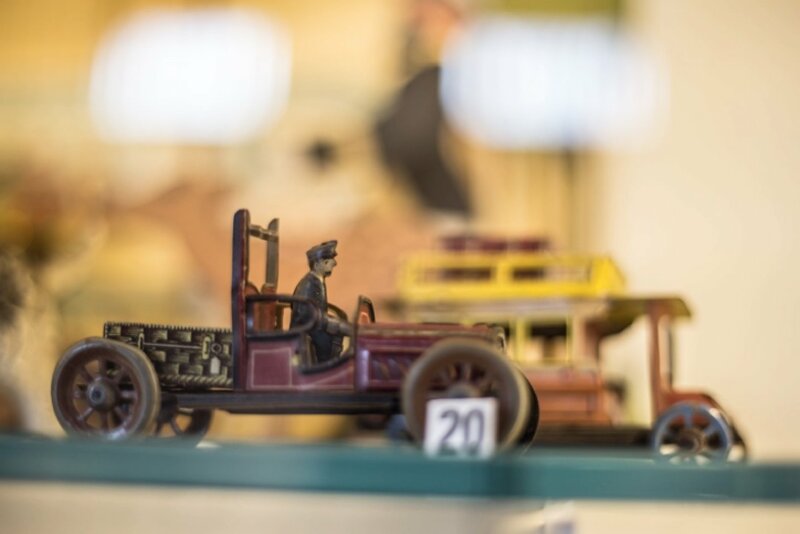 The Harrison Collection is a collection of objects and antiques amassed by brothers Edward and Richard Harrison over the last 50 years. From brain surgery tools, to cooking pots, toys and artificial limbs, you’ll be amazed at what you see here in this treasure trove of antiquities.